Just a quick note. I have a few author interviews to review before sharing so keep an eye out. I also have some booms reviews coming soon. A new feature is “Ask the librarians.” I have questions to a few librarians but just like authors, would welcome any other librarians. Just leave me a message. 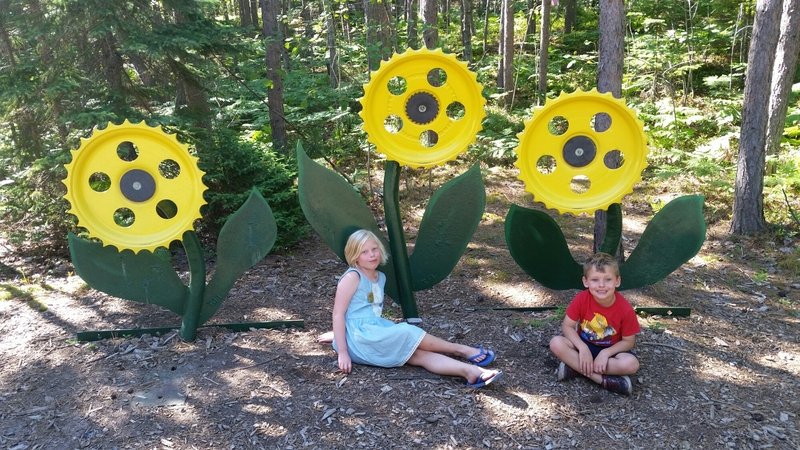 Here is a photo of Annoying little brother and me at Lakenenland, a cool sculpture park in Northern Michigan. Those flowers look downright dangerous!